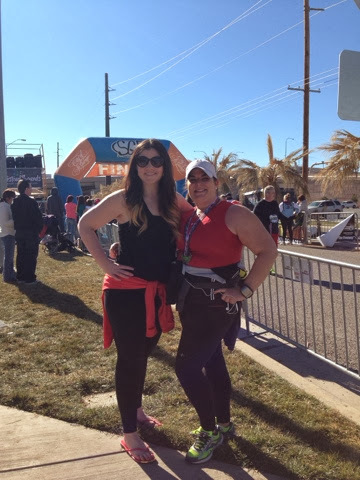 i ran another half marathon on saturday. i wish i kept track of those races so i had some sort of idea how many i've done, but i don't. i run with a group. we typically keep a 10-13 mile base so i usually just go run a half without much thought. i say that like it's no big deal, but what i really mean is i have never trained specifically for a half. between the holidays, bad weather, and nasty air, my base has dropped to somewhere around 8-10 miles. i didn't feel very prepared at all. 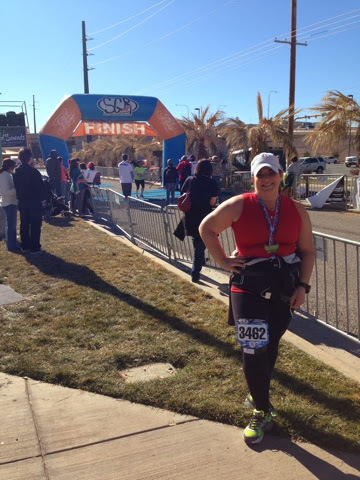 i ran this race as part of the st george runners series. i run 2 races down there and automatically get in the marathon. prepared or not, i had to run. i had pretty low expectations for my performance and decided to have an enjoyable time in the nice sunny weather. the weather was amazing! i was so happy to be out in the sun. i walked a lot of this course, but i stuck to only walking 60 paces at a time before starting to run again. everyone always asks if i run the whole thing. the answer is a definite no.i run as much as i can and stop for walking breaks when needed. the key is not walking so much that the body cools down. 60-100 steps about the right amount of walking. 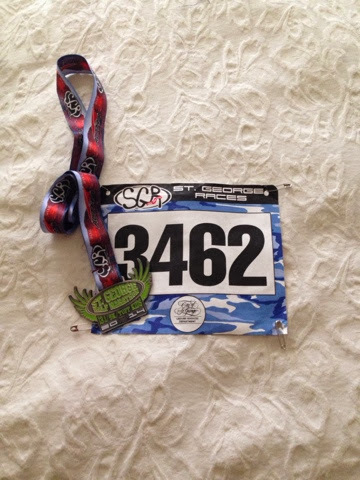 i didn't really pace myself this race. I ran faster and walked more. my time was still pretty close to the usual. i was really dreading this race. even the night before i kind of freaked out a little. i'm so glad i did it. it was a beautiful day. it helped me get my base back up a little higher. time to start training for nashville. I think that is so amazing! I think that's fantastic. 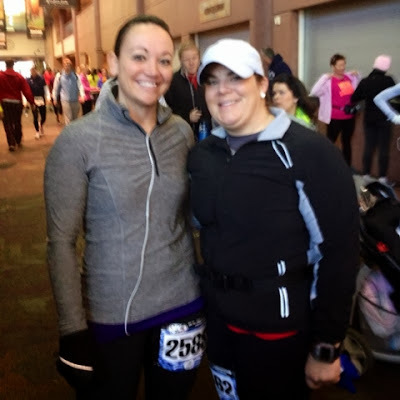 When I'm running (and not massive from being pregnant) my base is usually 3-5 miles...so a half seems awesome. You rock my face off! You seriously have been stoked for my half next month! Let's plan on doing one together!!!! No seriously!! !